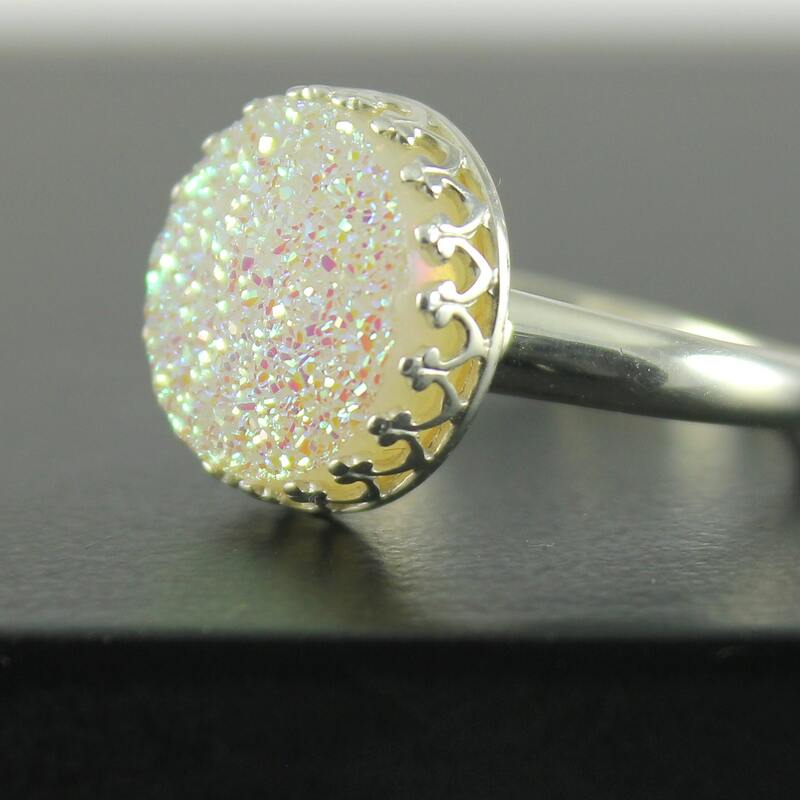 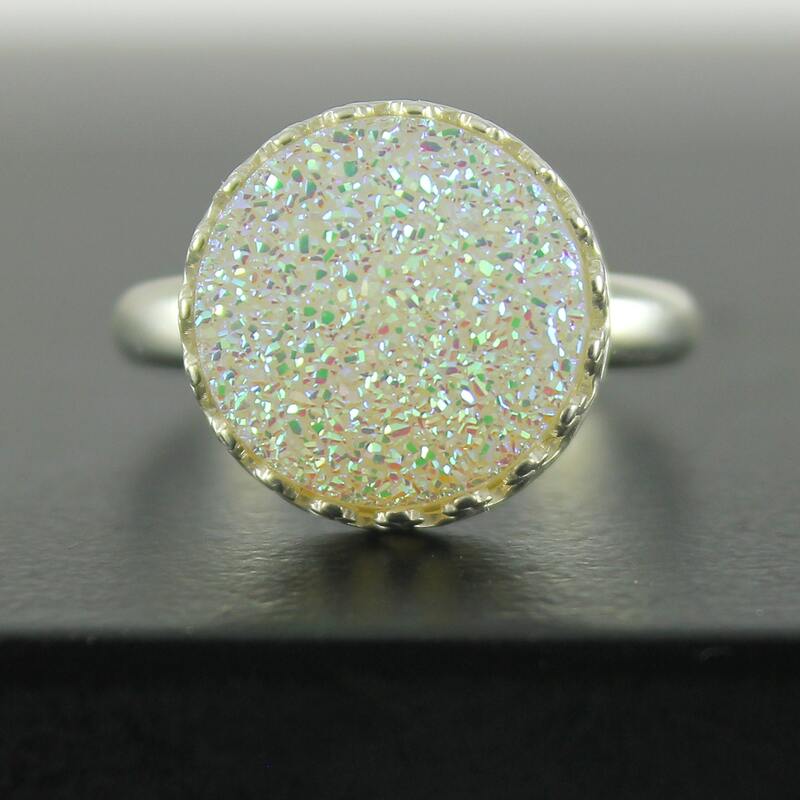 This stunning and sparkly ring includes white natural Druzy Quartz gemstone set on Sterling Silver round bezel mounting. 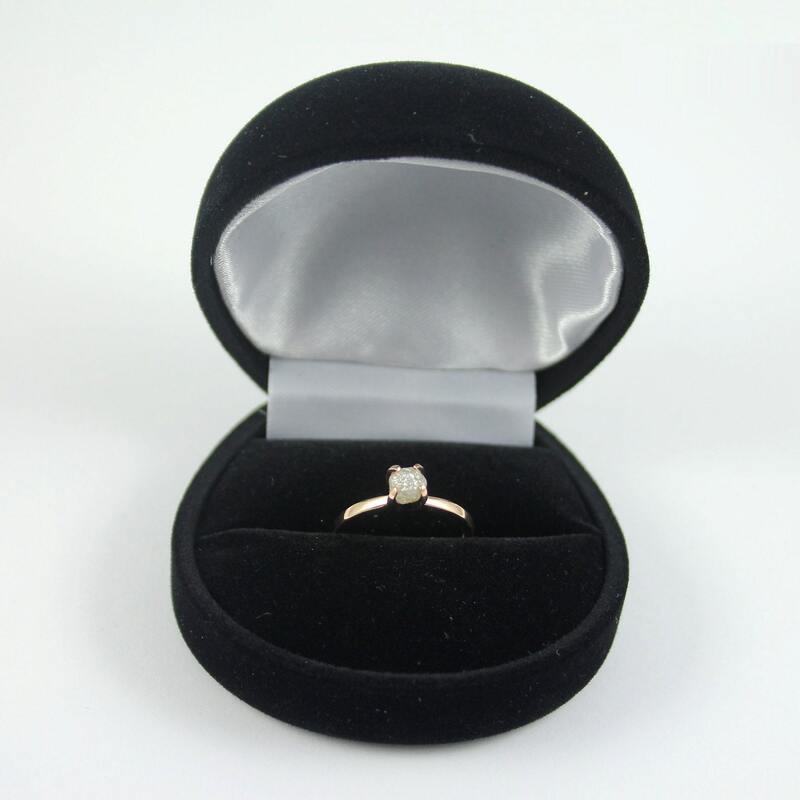 Since the stone is natural, it may slightly vary in size, shape and color set on a given ring. 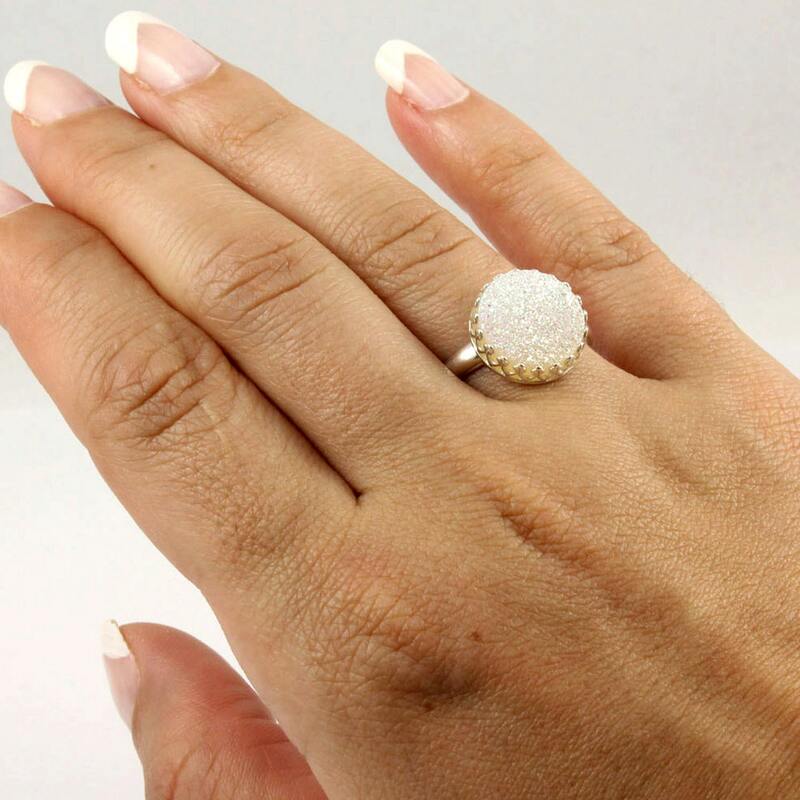 The ring is also available in different color as featured in the picture #4. 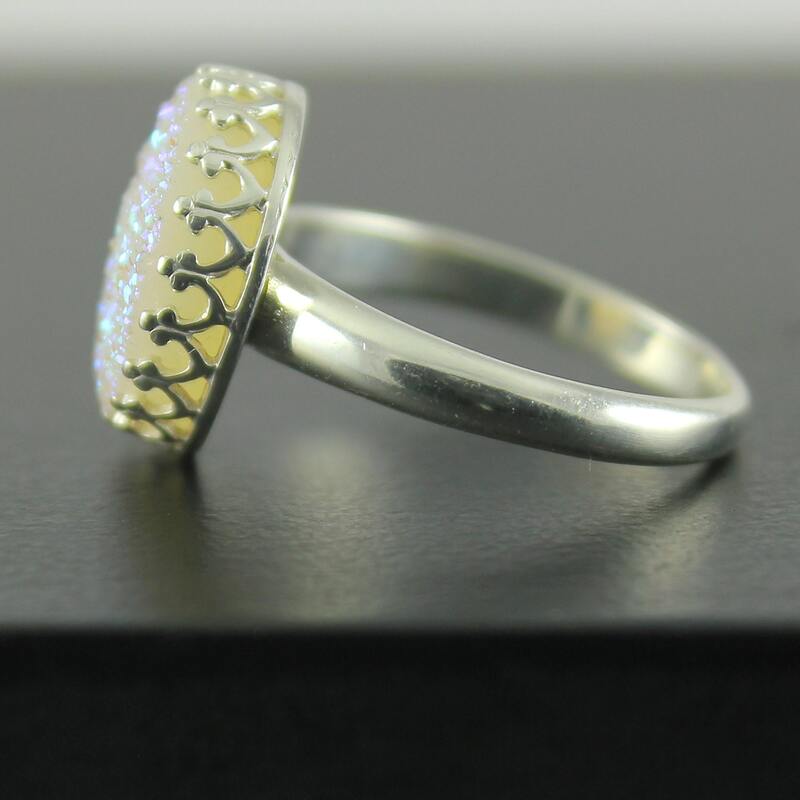 Please send me a message for more details.